Since 1974, The Green Machine has earned a reputation as one of the premier residential and commercial landscape companies in Connecticut. 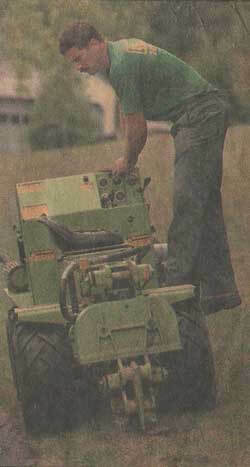 The sole owner of the company since 2000, Richard Zito joined The Green Machine in 1975 and became a partner in 1982. Today, it has become a family-run business with all three of Richard’s sons working for the company. The experience and knowledge of the team at The Green Machine allows them to formulate plans to exceed all your landscape needs. At The Green Machine, we have made a choice to work in the green industry and are proud of our professional integrity. Our main goal in any project is to work with our clients to create a practical and aesthetically pleasing space. We take satisfaction in the fact that we have cultivated long lasting relationships with our clients by exceeding their expectations and gaining their trust through exceptional performance. Our end mission is to create sustainable solutions on every project we have the pleasure of working on.